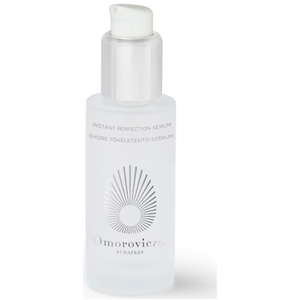 The Omorovicza Cleansing Foam removes make-up and impurities without stripping the skin of moisture and is devoid of harmful sulfates. Suitable for most skin types, it contains white lupin to energise and revitalise whilst copper gluconate detoxifies to leave your skin fresh and clear. Featuring mineral cosmetology, a patented mineral delivery system to leave skin firmer, more supple and younger-looking, this baby blue coloured foam provides long-lasting hydration and restores suppleness, leaving your skin radiating beauty every day. K.D. Lather well and apply to entire face in circular motions, rinse off thoroughly; follow with the appropriate Omorovicza serum and moisturiser. Got a sample in my Look Fantastic box and am in love. The scent is clean, rich and carries me away. Just a small sized dab cleans my skin and leaves it soft. Perfection. One day, one day I will but a full sized tube of this cleansing foam.